Is there a chance for higher oil prices? levels is looking increasingly difficult to achieve, at least in the timeframe laid out by the cartel. U.S. shale is arguably the biggest reason why prices are floundering again. The rig count has increased for 22 consecutive weeks, rising to 747 as of mid-June, up more than 100 percent from a year ago. Production continues to rise, with output expected to jump by 780,000 bpd this year, according to the IEA. Ultimately, the shale rebound appears to have killed off yet another oil price rally , the latest in a series of still-born price rebounds since the initial meltdown in 2014. In the meantime, the weekly EIA data on production and inventories will have outsized importance, mainly because it is one of the few concrete indicators that comes out on a routine basis. Analysts are now worried that a string of bearish data could push prices down even further. "We cannot afford to have another build in crude or gasoline," Bob Yawger, director of futures at Mizuho Securities USA Inc., told Bloomberg before the latest data release. " The market's just dying for a reason to buy this thing, but you can't really do that before" the EIA publishes its next batch of weekly data on Wednesday. Gasoline demand also looks weak , just as the summer driving season in the U.S. gets underway, a period of time that typically sees demand rise. Amid all this doom and gloom, Saudi Arabia's energy minister Khalid al-Falih tried to put on a brave face, arguing on Monday that the market will “rebalance in the fourth quarter of this year taking into account an increase in shale oil production. ” He waved away the recent price drop, dismissing the importance of such short-term movements in the market. But with WTI dropping below $45 per barrel, most sober oil market analysts are not nearly as sanguine. OPEC's objective of bringing global crude oil inventories back into five-year average levels is looking increasingly difficult to achieve, at least in the timeframe laid out by the cartel. “There seems to be very low conviction in the market that there really will be any inventory drawdown in the second half of the year, ” said Bjarne Schieldrop, chief commodities analyst at SEB AB. One pivotal factor that could really cause prices to plunge is if compliance with the agreed upon cuts starts to fray. There are several reasons why some participants might start to abandon their pledges. Russia, for example, tends to produce more oil in summer months , a fact that might tempt them to boost output. Iraq is also eyeing higher production capacity this year. In addition, weak prices could start to undermine the group's resolve. " 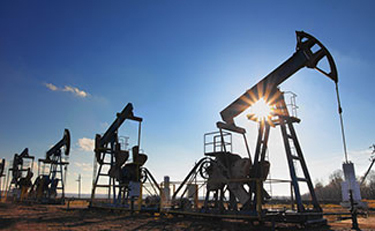 Lack of major upside price response to the OPEC output cuts upping the odds of reduced compliance to the agreement in our opinion," Jim Ritterbusch, president of energy advisory firm Ritterbusch & Associates, wrote in a research note. Editor's Note: This commentary was originally published by Oilprice.com, 06/21/2017. Petroleumworld reprint this article in association with Oil Price.com.